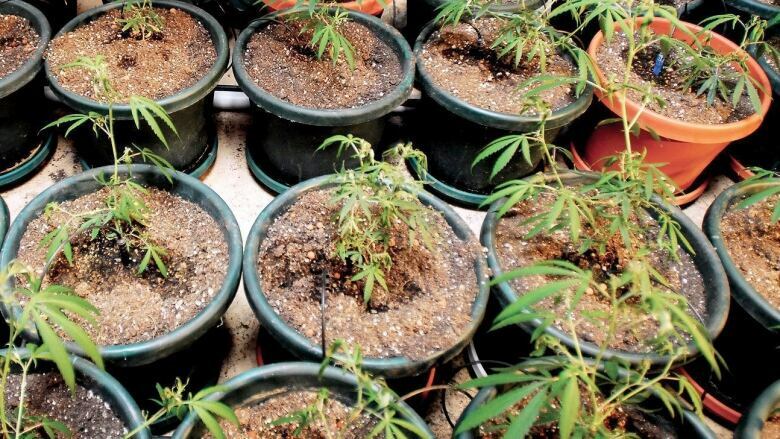 Quebec, Manitoba and Nunavut all want to forbid their citizens from growing recreational marijuana at home, even once cannabis is legalized federally. Prime Minister Justin Trudeau is disrespecting "the spirit of federalism" by refusing to affirm the provinces' right to ban people from growing their own pot, says Quebec's Canada relations minister. The federal government on Wednesday rejected several Senate changes to its cannabis legalization bill, setting the stage for a possible showdown between the Senate and the House of Commons. Quebec, Manitoba and Nunavut all want to forbid residents from growing recreational marijuana at home once cannabis is legalized federally. The Senate asked the federal government to affirm the provinces' right to do that — but the Trudeau government says that's not going to happen. 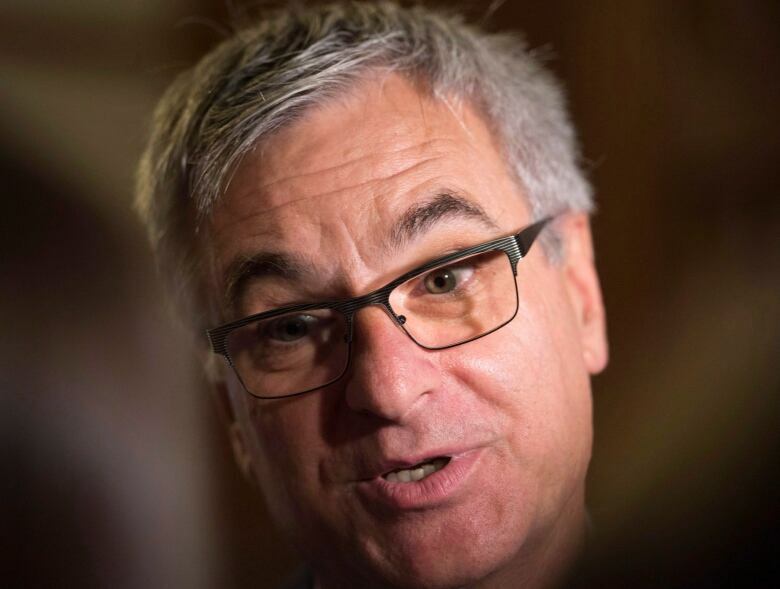 Quebec's Canada Relations Minister Jean-Marc Fournier spoke to As It Happens host Carol Off about the showdown over homegrown weed. [Prime Minister Justin Trudeau] has advice from experts that having four plants at home, it would help to ensure that kids are protected and that organized crime is kept at bay. What do you say to him? We respect the decision of the federal government to open the market for cannabis, but at the same time we are asking for the same respect of the federal government of our decision taken in our own jurisdiction. I'm not seeing a lot of respect about the consultation we had in our province. So aside from respect, what are your objections? It's an encouragement to use it. It's just normal. And we are not there yet. Mr. Trudeau said ... that in three years they're going to study the impact. OK. Very good. If you opened the door today, how can you be able in three years to close it? If you open it very slowly — it's what we are doing, and what Manitoba is doing — in three years, we'll be able to look at it again. When you're at the federal government and you want to study the impact and you are in the federal system, the best thing is to have different solutions applied by different provinces. So in three years, look at what was the result? What was the best solution? The federal government is thinking that is the only government in Canada, and that is not the case. I think that is not respecting the spirit of federalism. It's going to be legal for people to buy it online. They can buy cannabis, they can buy it from stores. So if you're worried that people just take it for granted, it becomes banal, then isn't it already there with that? What's the difference with going the next step in allowing people to grow a couple of plants at home? We think that we should have a different way of looking at it, a different kind of step. That is what federalism is about. Our law is already adopted and will apply. It will be zero plants at home. And in that, citizens will respect our laws. They decided that [a] balance of sources of cannabis is the best way to displace that illegal market. What do you say to that? This is not the conclusion that we had in Quebec after consultation. It was public consultation. People can go back to the tape and look at that. So I understand that is what they are saying. This is not what we are saying. Why is it so difficult to accept that in a country so large as Canada that different communities — in fact, a nation in Quebec — that we can use our own jurisdiction and make a decision? Are you worried that this homegrown aspect might cut into your revenue stream? If you want to talk about money, let's talk about the fact that the ambiguity that the federal government is sending in the population will cost money to citizens. Because of that ambiguity, it's possible that some Quebecers might find that, "Oh, I can have one, two, three plants" even if our laws is saying zero. So they will ... sue and they will say, "Oh well, we didn't know," and they have to hire lawyers for that. Let's open the door not in a large way. Let's begin with something. Let's look at the results. Why is it so tough to respect the decision taken by a province? No, no, no, no, no, no. It not a distinct society. Manitoba has the same decision. ... Nunavut is doing the same thing. It's about the fact that in the federal system, you've got provinces who have jurisdiction. Written by Sheena Goodyear with files from CBC News. Interview produced by Kevin Robertson.